Meet Donny Liu, Rotary of Queenstown (RCQ)’s recently converted Singaporean. Donny was born in The Hague, Netherlands and has been living and working in Asia the last 15 years. He moved to Singapore in 2012 to call it his home for him and his extended family. His loving wife Tina Chen is from Shanghai and his son Weijie was born in Shanghai. After finishing up his degree in chemical engineering Donny joined a consulting firm and is nowadays working as IT director APAC for Heraeus Group. He has more than 15 years of IT strategy, operations, business process management and general management experiences in the manufacturing and engineering industries. 1. When was your first involvement with RCQ? I was introduced to Rotary by one of our regional presidents in China who shared on servant leadership and the wonderful organization Rotary. Being interested, I took the liberty to reach out to RCQ. I attended several lunches and knew I had found the right Rotary Club for me. RCQ felt so diverse with people with different origins and from many vocations. It gave me a means to serve together with my fellow members and enjoy great fellowship. 2. What do you like best being involved with RCQ? RCQ is culturally the most diverse Rotary Club that exists within Singapore – although it, recently seems that the Germans are gaining a lot of ground. Kein Probleme meine Freunde!. With this group we have never a dull moment and I enjoy every event, lunch and meeting we have together. Although I am not attending all events, due to my day job, I strive to make time available for Rotary as it is my belief that we can make a difference. 3. What would you say to someone who is thinking about joining RCQ? I would state that anybody thinking to join a service organization is a fortunate person. You have reached a moment in time that you are thinking beyond yourself. Service beyond yourself is thus the motto of Rotary. If you are considering joining RCQ, be well prepared as we are a fun loving bunch. Meet Ava Leung, Rotary of Queenstown (RCQ)’s youngest member. Only 28, Ava is already an Investment Professional at Goldman Sachs. Ava hails from Hong Kong but hopes to make her home in Singapore. 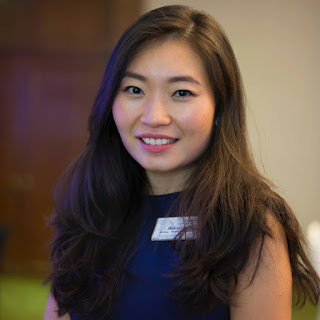 She has a Business degree from the Chinese University of Hong Kong and completed her MBA at the National University of Singapore in 2017. 1. What made you pursue a career in finance and investments? I come from a family that likes to do their own investments. So I learnt to do my own investments from a young age. At Goldman Sachs, I feel that I can combine my passion with profession, which makes me a fortunate one. 2. How did you get involved with RCQ? My family has always been involved with volunteer work so it’s natural for me to continue. I am privileged now that I have a stable career to be able to contribute both in terms of monetary contribution as well as physical participation. When PP Linda Gouw invited me last year to participate in the Oktoberfest celebration to support the residents at the Simei Care Centre, I readily agreed. I was impressed with how vibrant the members were and the meaningful community projects they were involved in. That was the beginning of my interest in RCQ. Ava will be chairing The Rotary Foundation committee at RCQ in the coming new Rotary year. We look forward to supporting Ava in her new role at RCQ. Meet Adrian Cowell, Rotary of Queenstown (RCQ)’s very own British member. 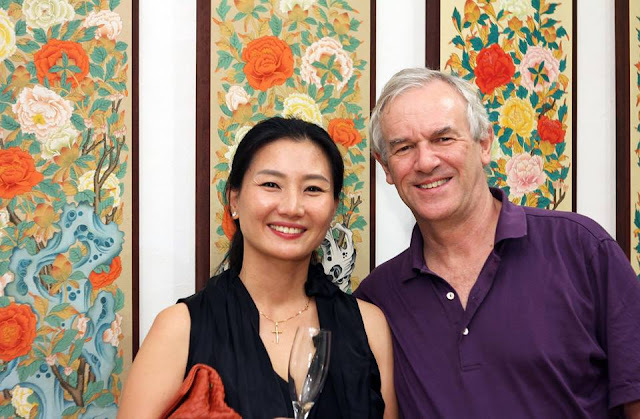 Adrian is truly cosmopolitan, having lived two-thirds of his life outside the UK, initially in Europe and the Middle East, and since 1990 exclusively in Asia, of which 14 years were in Korea where he met and married his lovely wife Mi-Jung. 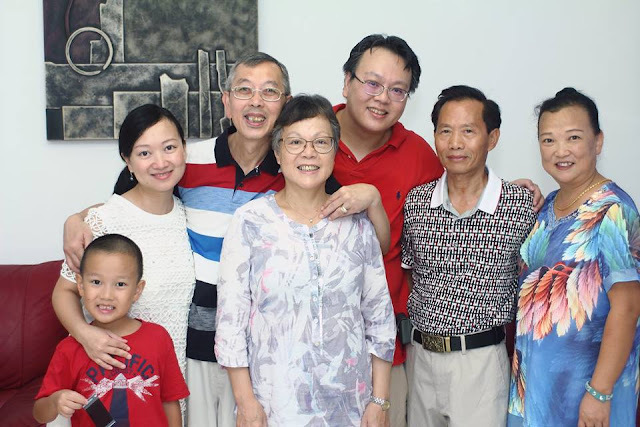 They are now a family of four living in Singapore since 2005. After a degree in Russian and a 30 year career in investment banking and fund management with Kleinwort Benson and Rexiter, forsaking numbers, Adrian established#Inwa Advisers to advise companies on market entry in emerging and frontier Asia. I was introduced by Laurent Bertrand who felt presumably that RCQ needed a dose of the “Queen’s English” to go with the Town! Since then I remain in blissful isolation as the sole proponent. Newsletters poured forth, then, having been very happy as an occasional Corporal@Arms, rarefied permanence arrived with the extra stripe as Sergeant@Arms. I try to raise a smile, and to support the Sunshine Box. Enough said! 2. What do you like best about being involved? The size and composition of RCQ is a delightful balance of people and backgrounds, each bringing their own wide-ranging talents, energy and enthusiasms to a very wide range of philanthropic and social activities. Text Rotary Club of Queenstown if you want to find out what being a Sergeant@Arms means or what the Sunshine Box is! When you think of lifestyle public relations counselling, you think of Eric Chan, Managing Director of PR Communications Pte Ltd. PR Communications is an independent award winning agency established more than 20 years ago by Eric and his partner Fatoma Alladin The agency clients have included luxury brands from Aston Martin to Montblanc; heritage brands like Three Leg Cooling Water and Tiger Balm; high fashion brands like Louis Vuitton, Alexander McQueen, and Chopard and last but not least technology start-ups like Deliveroo, and Ohmyhome. We interviewed Eric about his involvement with RCQ. 1. Tell me how you first got involved in the Rotary Club of Queenstown? I was a Rotary member in Hong Kong. After I moved to Singapore in early 90’s I visited Queenstown and I found the club most interesting with different nationalities and English speaking. I became the President of the Club in 1994. 2. What do you like best about being involved with RCQ? The fellowship is the best part, and I get to learn from my fellow members about their profession. 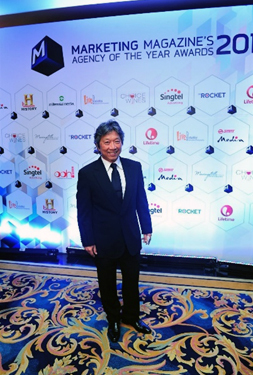 Find out more about Eric on https://sg.linkedin.com/in/eric-chan-07a99828 . RCQ intends to regularly feature various member profiles. Watch this space!